Heidelberg is an 800-year-old university town with 150.000 inhabitants. The famous castle, the old city center and its location at the Neckar River at the foot of the Odenwald make Heidelberg one of Germany’s most popular tourist destinations, especially for visitors from overseas. Heidelberg’s history as well as its world-wide recognition have been significantly shaped by the Ruperto Carola, Germany’s oldest university, which celebrated its 630th anniversary in 2016. Currently more than 30.000 students from 130 different countries are studying at Heidelberg University. Overall 20% of all students and 35% percent of all PhD candidates come from abroad. The high number of international students, researchers and scientists studying and working in Heidelberg accounts for the city’s multicultural and cosmopolitan atmosphere. The city has a vibrant student life and offers numerous possibilities to meet up with like-minded people. There are a number of student groups in various fields of interest. These groups range from political parties, NGO’s and religious student groups to literature clubs, a debating society, the university orchestra and several choirs. Heidelberg’s student newspaper is one of Germany’s largest student-run newspapers. Moreover, the Heidelberg University offers a broad variety of athletics, such as teams in various court sports and courses in diverse disciplines such as martial arts, swimming, dancing and yoga. The “Studentenwerk” (student services) is an important institution independent from Heidelberg University. It is mutually funded by all students and supports them in all questions concerning life and studies, i.e., housing, finance and social care. The “Studentenwerk” also operates several student residence halls in different parts of the city. 40 – 50% of the rooms are reserved for international students, including students of this joint degree program. Rents vary between € 160,- and 250,-. In general the monthly rent for a private room in Heidelberg is rather expensive, ranging from € 210,- to € 350,-. Furthermore, at the beginning of every winter term there is a run on the limited accommodation available, so it is worthwhile to plan ahead. Heidelberg has a well-established public transportation system which grants mobility throughout the city and connects it to Mannheim, Ludwigshafen and the wider metropolitan area. A student ticket can be obtained for € 165,- per semester. The central service facilities of Heidelberg University and most of its other institutions are in general quite close to each other and can easily be reached by bicycle. Founded in April 2013, the Heidelberg Centre for Transcultural Studies (HCTS) is a central institute of Heidelberg University situated at the Karl Jaspers Centre. Building on the structures established by the Cluster of Excellence “Asia and Europe in a Global Context“, it assembles outstanding scholars from all over the world and from any discipline to engage in an interdisciplinary dialogue with a focus on the dynamics of global transcultural processes between and within Asia and Europe. Home to five permanent fellows, the HCTS Professors, working in fields that cut across conventional disciplinary and nation-state borders and host to a Master and a Graduate Programme in Transcultural Studies, the HCTS offers a vibrant international environment for students and junior scholars in the humanities and the social sciences. The research of permanent and temporary fellows centres on themed initiatives. Furthermore, the HCTS engages in a number of activities such as library talks, seminars and workshops as well as open lectures. The opening of liaison offices on each other’s campuses expresses the close cooperation between Heidelberg University and Kyoto University, dating back to the 1990s. Established in 2015, the Heidelberg University Office, Kyoto (HUOK) promotes Heidelberg University’s activities in research and education in Japan and East Asia. 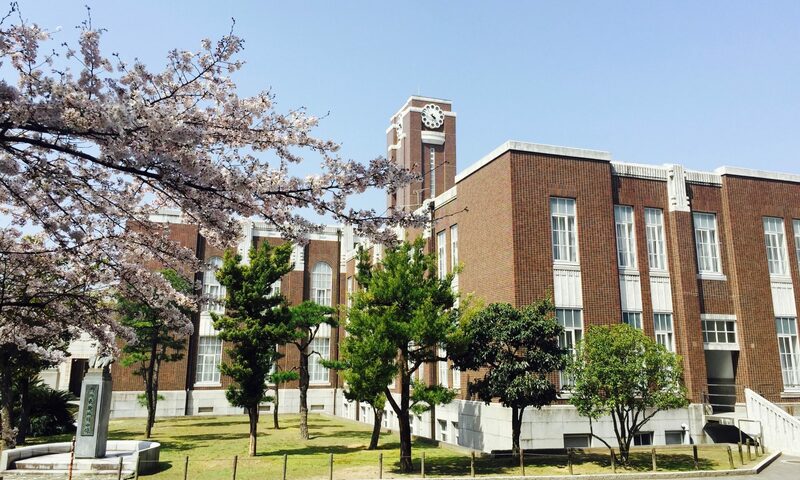 Its information center on the ground floor of the Yoshida International House, located on the southern main campus of Kyoto University, is available to Japanese and international students who would like to study at Heidelberg University. Joint Degree students are encouraged to visit the office with practical concerns about student life in Heidelberg. As a liaison office in Japan the HUOK supports activities of the German-Japanese university consortium HeKKSaGOn. The alliance was founded in 2010 as an association of three German and three Japanese universities: Heidelberg University, University of Göttingen, Karlsruhe Institute of Technology, Kyoto University, Osaka University, and Tohoku University. Together with its counterpart in Heidelberg, the Kyoto University European Center, the office organizes joint lectures and many other events. Located near the old lecture hall of Heidelberg University, the Kyoto University European Center in Heidelberg was established a year before its counterpart in Kyoto. The primary functions of the centre office are to support the university’s research and education activities in Europe, promote the internationalization of faculty and students, and enhance the university’s international public relations, industry-government-academia collaboration, and international networks. Students from Kyoto are welcome to visit the office and take part in its events, for example its “Stammtisch” (Get Together). Please find a list below to keep track of the tasks you need to complete after your arrival in Germany. For easy reference, you can also download a PDF as a checklist to keep track of what you have already done and what you still need to do. The Heidelberg University International Office offers an exhaustive guide for exchange students. Even though you are not an exchange student, many points of advice and information apply to you as well. We recommend especially, that you familiarize yourself with the “Pre-Departure Information” on time. The staff of the International Office and YAMAMOTO Takahiro of the Heidelberg Centre for Transcultural Studies will also assist you with many administrative steps. Every person living in the Federal Republic of Germany must register at the local administration office (Einwohnermeldeamt or Bürgeramt) of the city in which he or she is living, regardless of the length of his or her stay in Germany. You must register within one week of moving into your place of residence. Take your passport/ID card and accommodation contract with you to your local administration office (Mitte, Altstadt, Boxberg/Emmertsgrund, Handschuhsheim, Kirchheim, Neuenheim, Pfaffengrund, Rohrbach, Wieblingen, Ziegelhausen/Schlierbach). Please be aware of the respective, limited opening hours. You may leave the box for “Religion” blank. Further, if you want to prevent your information being shared with other parties (e.g. political parties), you should complete the Übermittlungsperre form. Make sure your name is on your postbox once you’ve registered. In general, foreigners are required to have a visa to enter Germany; for a longer stay, it is necessary to obtain a residency permit after arrival. A visa is usually obtained through a German embassy or consulate. Foreigners who are required to have a visa to enter Germany must have any period of residency that extends beyond the validity of the visa approved by means of a residency permit. This is also true for foreigners who were permitted to enter Germany for up to three months without a visa and who intend to stay for longer than three months. The requirements and procedure for obtaining a residency permit depend on your country of origin. If you plan to stay in Germany for longer than three months, you must apply for a residency permit at the foreigners’ office (Ausländerbehörde). EU-citizens do not need a residency permit, Swiss citizens do. Ask that you want to register for a residence permit and you will receive a paper with all the required documents and emails. After your matriculation make an appointment at the Ausländerbehörde by email (depends on initial of your surname). Take the necessary documents with you (listed in the paper that the Ausländerbehörde initially provided you): Passport-style photo; passport; health insurance proof, immatriculation proof, Anmeldung form). Most of you will stay in a dorm room or apartment offered by the Student Service of Heidelberg University. If you stay somewhere else, there are some points to consider. Usually you will sign a written rental contract before you move into an apartment. With your signature, the provisions in the contract become legally binding for you. Therefore, you should be sure to read through the entire contract carefully. In most cases, landlords in Germany require the payment of 1-2 months rent as a security deposit (the Student Service also asks for such a deposit). This amount is placed into a savings account on your behalf and is refunded to you in full when you move out, as long as you have incurred no damages to the apartment and have no outstanding payments. A landlord can require payment of a maximum of three month’s rent. For your stay in Germany, you should make sure that you have adequate health insurance coverage. As a student, you will most likely enter a public student health insurance (do note that coverage only starts from October 1st). German health insurance providers generally cover the costs of medicine, doctor’s visits and hospital stays. It is very important that your health insurance covers medical treatment in the case of acute illnesses and accidents. Adequate health insurance coverage is also required to obtain a residency permit in Germany. EU citizens should be covered with their EU health insurance card. The following medical practitioners are known to offer service in English. Please also get in touch with your fellow students in Heidelberg concerning advice on where to go. We suggest to open a bank account at a German bank, preferably one without maintenance fee (“Kontoführungsgebühr”), for the length of your stay in Germany. In general, rent, utilities and insurance payments are paid by direct debit (cf. “Einzugsermächtigung”) from your bank account. Passport picture (for the student ID card). You will be asked to fill in a form and pay an administration and student service fee at the bursar’s office (see also re-registration below). Take the receipt from the bursar’s office back to the International Office and you will receive your “Immatrikulationsbescheinigung” (enrolment-certificate). With this certificate you can complete the registration at the Ausländerbehörde (see above) and you are also entitled to buy a semester ticket (see transportation below). Registered students have to declare their intention of continuing their studies at Heidelberg University for every semester within a given period. This declaration is called the ‘re-registration’. The re-registration period for the summer semester is from 15 January to 15 February, and for the winter semester from 15 June to 15 July. In order to re-register, the respective fees (administration fee, student service fee, tuition fees if applicable) are paid by bank transfer. Cash payment at the bursar’s office is not possible. If cash payment is desired, please pay into our bank account with Sparkasse Heidelberg. Web-based re-registration is also an option: after your on-line re-registration you will be able to print out your certificates for the coming semester. Taking German language courses is not a formal requirement but we highly suggest you improve your command of German in order to cope with daily tasks and activities. The University of Heidelberg offers languages courses at many different levels to visiting scholars and their families. Please inquire at the International Office about the preparatory, intensive courses (the JDTS would cover the costs for these courses in September). There are also numerous language schools in Heidelberg and the surrounding area which provide opportunities to learn or to improve your German. Heidelberg has a well-developed public transportation system which includes buses and trams. There is detailed information on the internet site of the VRN (the public transportation company; German only) about tickets, prices and connections. Students of the University of Heidelberg can apply for a semester ticket, which permits the usage of the public transportation system for six months. You can also reach all parts of Heidelberg conveniently and easily by bicycle and there are many possibilities in the city to buy used bicycles. The city of Heidelberg is a very attractive place to live regarding cultural activities, sports, music, and tourism. The website of the Welcome Centre includes many links to information about sightseeing and cultural activities in Heidelberg. You will also find information and tips about living in Heidelberg, which we hope will help you to settle in as quickly and comfortably as possible. If you have questions that are not answered on our web site, please do not hesitate to contact us directly. Please go to the “Download Centre” of the Welcome Centre to find other helpful information for your stay in Heidelberg.